Known around the world as The International Award for Young People, the Duke Of Edinburgh’s Award Young Canadians Challenge program regroups some 565,000 active people, aged from 14 to 25, in more than 108 countries. It is considered a very prestigious award in recognition of their individual efforts and their performance. 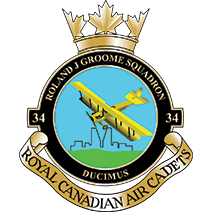 Similar to the Air Cadet Program, the Award Program is voluntary and each individual is assessed on effort, improvement and challenge, making the Award attainable by all. The program allows you to work at your own pace, accumulate certain number of hours per week in different categories. Many of the hours required in the program are already being done by most of you just by being in the Air Cadets. For example, if you are on the Drill Team, you can use Drill Team practices as a skill development activity or as a physical activity. If you teach on training nights, you meet the community service requirements. For students who require several hours of community service to graduate, those hours can be put towards the award as well. If you take music lessons, horseback riding lessons, or whatever your interest may be outside of cadets, it can all be used toward the requirements of this program. 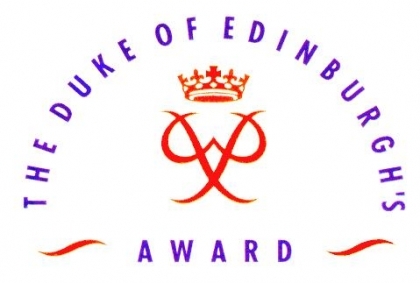 Conceived by his Royal Highness the Duke of Edinburgh in 1956, and started in Canada in 1963, the program aims to help young persons develop strength of character, leadership and personal discipline through four sectors of activity: community service, physical recreation, skills, and expedition. The awards purpose is to create better citizens by involving them in their community more. The program is for youth of ages 14 to 25. It requires a $30 registration fee (to cover the cost of the Participants Record Book and Award) to be submitted with the Registration Form for each level. The registration fee is refundable by the Parents Committee upon completion of an Award Level (Bronze/Silver/Gold). There are three levels in the Award. Bronze (min. age to join 14), Silver (min. age to join 15), and Gold (min. age to join 16). Upon completion of a level, Participants can move on to the next. The Bronze pin and certificate is awarded by a community leader (i.e. Capt. Kostyniuk). The Silver pin and certificate are awarded by the Lieutenant Governor of Saskatchewan. The Gold pin is presented at a Silver ceremony, and the certificate is kept on file for presentation by the Governor General of Canada or a member of the Royal Family.